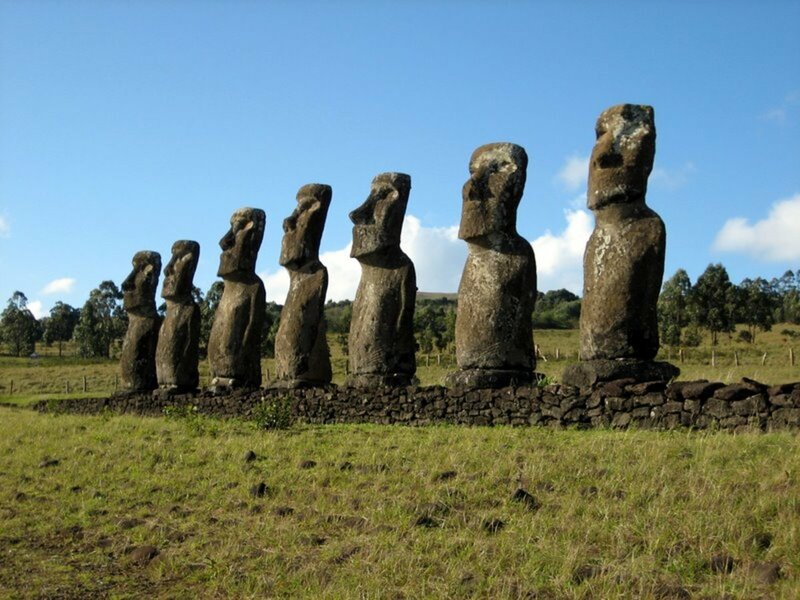 Amazing Ancient Artifacts: Did the Ancients Have Modern Technology? Ancient artifacts are being found all the time, especially in Egypt. There is still a great interest in the Valley of the Kings and Queens, and ever since the discovery of Tutankhamun, our interest has surged towards Archaeology and all it's great discoveries. All around the world, we seem to hear about new finds explaining how a tribe lived, or fascinating objects that helped the Egyptian mummie into the next life. However many times we watch this on TV, it never fails to astound us at how these ancient civilizations managed to make this, or that. But to a certain degree we can understand their way of making knives, and intricate jewelry. In fact a lot of these ancient ideas are coming back, and archaeologists and paleontologists are always keen to learn the old skills. But what happens when we suddenly find ourselves confronted with something that we feel is so overwhelmingly wrong, that it sends shivers down our spine? Imagine the scenario. You are digging in a cave, thousands and thousands of years old. You come across a bone that is obviously, on closer study, from an ancient human being who has been buried in his clothes and surrounded by pots. So far so good. You can date him without too much research on what is there and how many. You have done it so many times before. Then, when the skeleton has been removed you notice something underneath him in the ground. You reach down and slowly and very gently pick up the shiny object laying in the dust and dirt. A puzzled look comes onto your face. But it can't be! That's not possible.........! Scientist are having to rethink their way of carbon dating, and more importantly, their way of looking at the ancient world. Because things are not what they seem. The Ancients were definitely not primitive, and in some cases, they seem to be scarily too advanced for their time! In 1936 workers excavating ruins of a 2000 year old village close to Baghdad discovered a strange small vase. They couldn't figure out what it was for. It consisted of a 6 inch high pot of bright yellow clay.After dating it, they found it was exactly the age of the village. 2000 years old. Nothing unusual about that until they opened it. 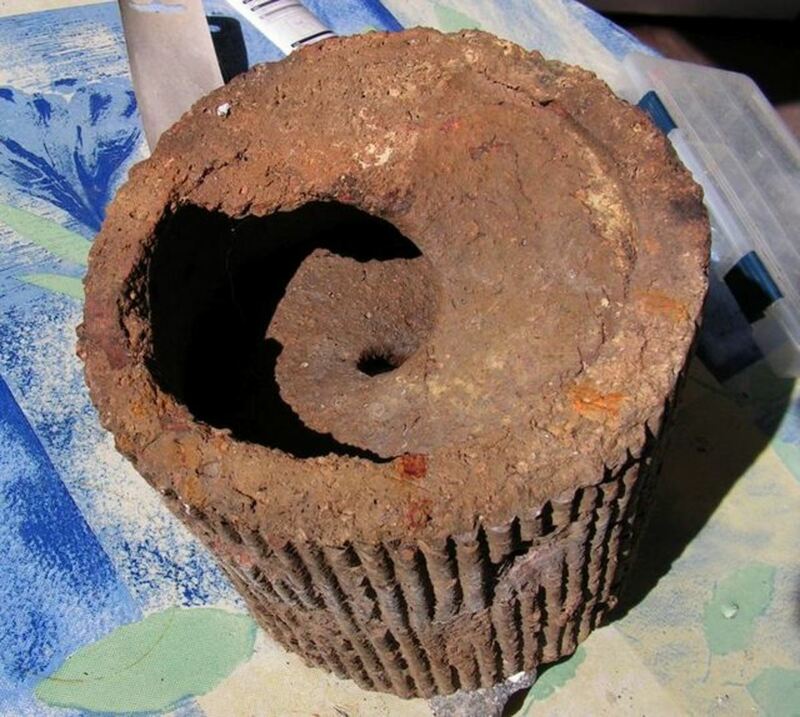 It contained a cylinder of sheet copper 5 inches by 1.5. At the edge of the copper cylinder, they noticed that it had been soldered with a 60-40 lead-tin alloy similar to to today's solder! 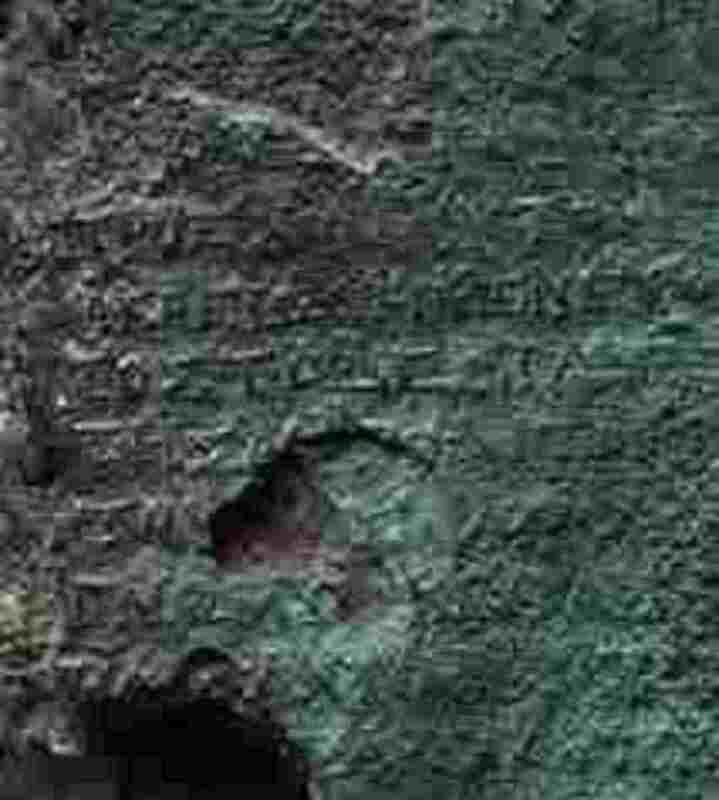 Even stranger, was the fact that the bottom was capped with a copper disk and sealed with bitumen or something similar. Inside the copper cylinder there was a suspended iron rod. The top of the cylinder was also capped and sealed with bitumen. The rod had been badly corroded with an acidic agent. So what does this mean exactly? Well, there are two theories about this. Both of them pretty radical! The first theory believes that it may be a galvanic cell for electroplating gold onto silver, this idea first became popular in 1938 by Wilhelm Konig the the German director of the national museum of Iraq. 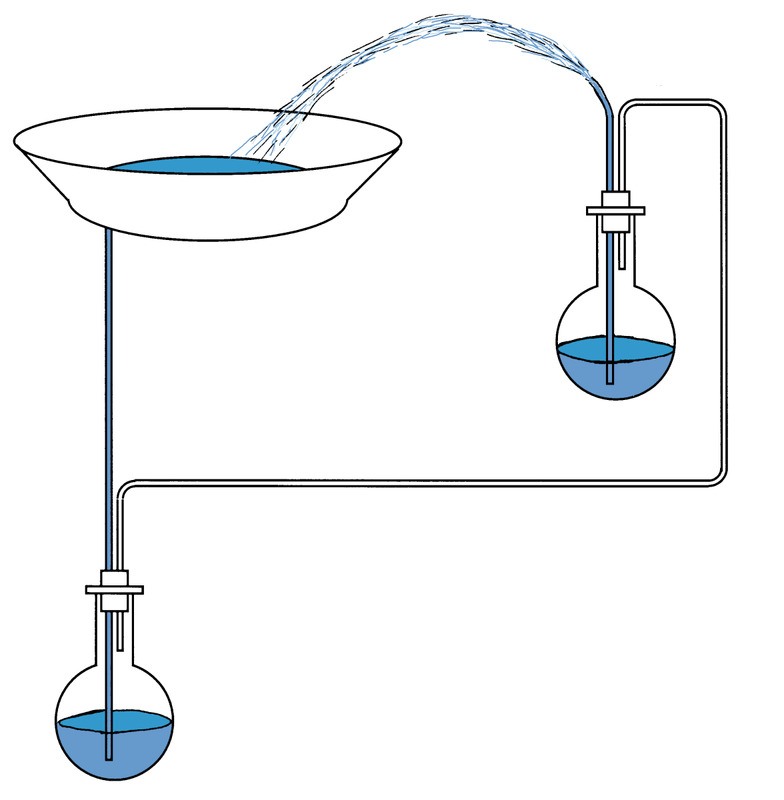 Alessandro Volta invented the same thing in 1800! or so he thought. And the second explanation is that it is a battery! There have in fact been found a number of these 'Battery's' since then. They are believed to have been invented in Mesopotamia and Iraq, between the ages of 248BCE and 226CE. Or BC and AD at the time of the Parthian occupation. Other objects were found with a patina of silver on copper. When tested they reacted in a way typical of soldering metals like we use today. The Battery's have been tested and produce only a tiny amount of electricity, but they do indeed work! Evidently the Ancient Greeks used something called 'Electric Fish' to reduce pain by applying to the soles of the feet. Seems they were in on the secret too! So, it seems that we weren't the first people to do this sort of thing! Why did we ever think we were?! Okay, let's think about this for a moment. Man has been on this planet for thousands of years. We know that for a fact. We have carbon dating, fossils and prehistoric man to prove that. But we never seem to take enough notice of what happened in the middle! Maybe ten thousand years ago, or even fifty. By this time we had evolved into the beings that we are today. The only difference is that we didn't have the technology or the know how to do it. The materials were there but we always presumed that nobody had the intelligence to make these things. But why? Is it modern man's vanity that we think we are better than people in the past? Yes I do believe it is. So I will go onto the next interesting artifact. 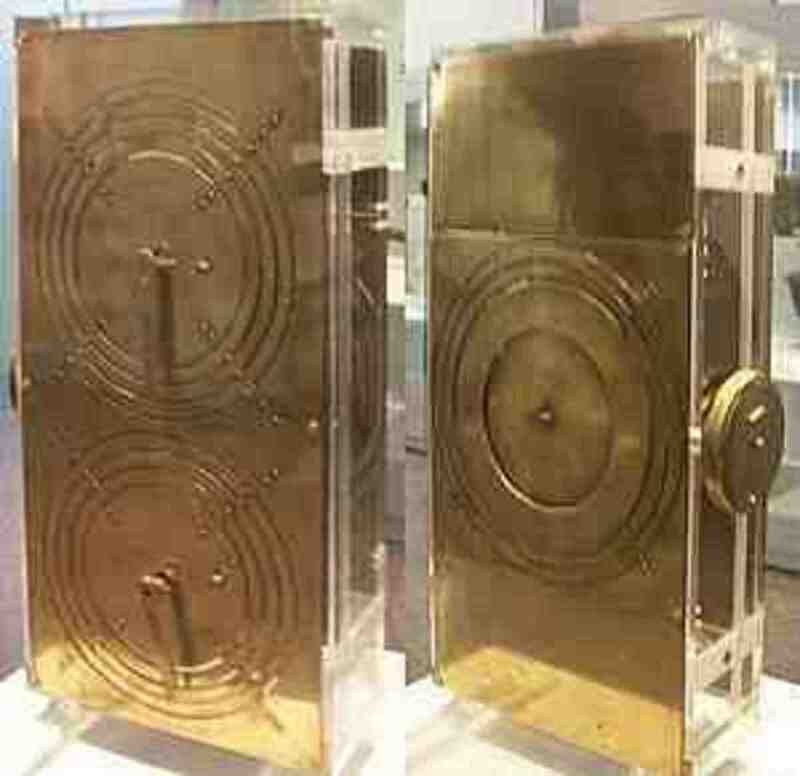 The Antikythera mechanism is a computer like device that is designed to calculate astronomical positions. It has the precision of a 19th century Swiss clock. The only thing is that it is believed to be around two and a half thousand years old! it was found in the ocean by sponge divers near the island of Kythera, Greece in 1900-01. They found it on the AntiKythera wreck. There is a Scientific Research project studying this object and it has left the world of science very excited. Every dial and mechanism can be seen on this object, and scientists are constantly struggling to understand how it worked and what the symbols mean. There is nothing like this anywhere else in the world. Not only that, it is not mentioned in any historical book or record. Maybe it was one of it's kind, or it could have been so proficient that it wasn't worth mentioning. There were many ships back in those days,trading from country to country, perhaps each and every one had this mechanism. It is known as the oldest scientific calculator. Also known as the analogue computer. It is based around complex astronomy and mathematics. Having over 80 parts, it is believed that we could not possibly have known how to make this until at least the 16th Century! It goes against all that is know about the Hellenistic Age that it comes from. In plain English, it should not exist. But it does. Hero, or Heron as he was known, was a scientist, inventor, and engineer. He lived in Alexandria in the first Century AD/CE. He was an author of engineering books and unique inventions. He worked in the famous Alexandria library. He was a man well before his time, and his knowledge of how to use and produce steam for his inventions was very clever considering the age that he lived in. 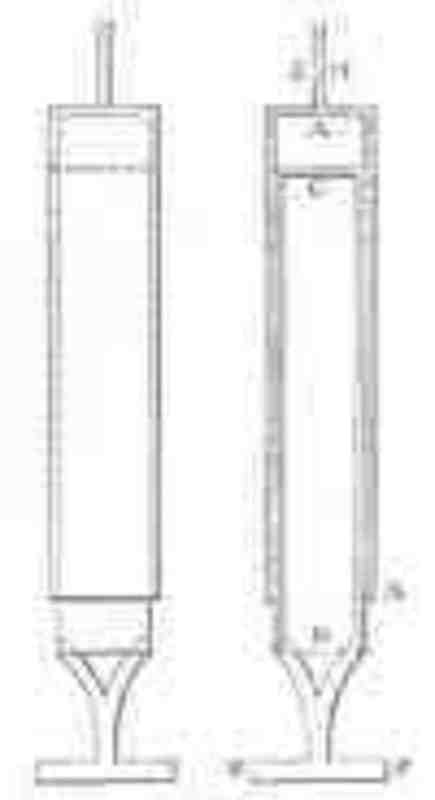 In his book Pneumatica, he talks about his invention called the Aeolipile also known as 'Hero's Engine'. Along with numerous other inventions, this one was probably the most spectacular. It consisted of a water filled metal ball with opposing bent tubes, which would spin under the force of steam pumped under pressure. Although it was believed that he never actually made a large steam engine, he did use the concept to open and close stage curtains or with the help of pulleys and ropes, he managed to open the heavy temple doors, much to the envy of his fellow inventors! But he was a clever man, he is deemed to have been the first man to invent automated statues, therefore making him the inventor of Robotics! His other inventions were the first vending machine, which worked by a combination of coins and weights, a syringe for air or liquids, and a very clever pulley and mechanical device for entertainment, the earliest form of clockwork. Also a very clever fountain that operates under hydrostatic energy! This was named Heron's Fountain. A very clever man. I have only added these three great inventions or inventors purely because they are genuine and have been scientifically studied. I think that the battery is the most amazing invention of the time because it is something that we, in our infinite presumption, believe only a modern man could invent! But believe me when I say this is real. There are no hoaxes on this page. I hope you enjoyed reading about them. 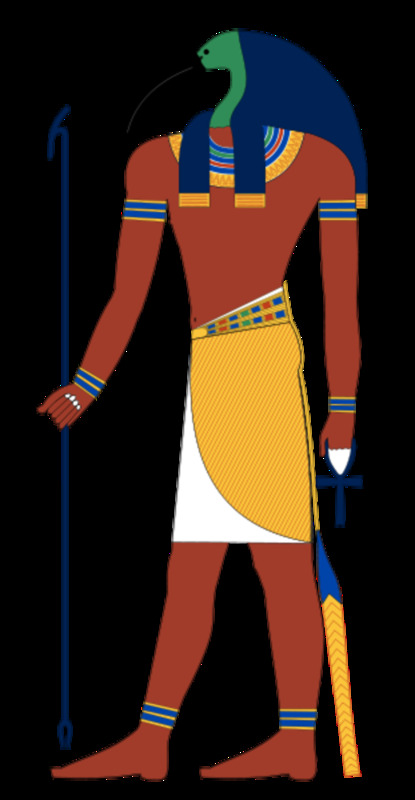 Summary of "The Emerald Tablets of Thoth"
Thanks Brian, yes you could be right! Thanks Eddy, great to see you! Another gem from you my talented friend Nell. Loved it, voted up and here's wishing you a wonderful day ahead. Wow this was a very interesting read! Thanks for sharing:) Voted up and more! I really enjoyed reading this article; it was very interesting! I had heard of the Antikythera 'computer', but I didn't know about the other two. I believe in Biblical Creationism, so it's no surprise to me that these ancients were able to come up with such amazing inventions. Instead of slowly evolving from dumb ape-like ancestors, the Bible says that humans were created with much intelligence. In fact, it says that Adam's close descendants were able to make and play string and wind instruments, and that they able to smelt ores and forge tools out of them. Ayways, thanks for the article! I'm glad I stumbled upon it. Hi Cyndi, good point, yes and you are probably right, wonder what else is out there that we just don't know about? thanks! Very interesting information you have provided. I often wonder what those in the future will find if they were to examine our artifacts. Would our "remains" automatically point to great inventions or would the evidence have long disintegrated leaving the future anthropologists to think we were primitive with no advanced inventions? I love watching show about this stuff and hints that even extraterrestrials may have helped with many things. Spooky, and that battery, wow. I saw Kate in the news today and that girl has gotten so big all of a sudden that with 4 months to go I bet she may be gonna have twins! You know they said she made a slip like it was a girl but she is saying she wants a boy and William wants a girl. It would be really sneaky of them to know they have one of each, wouldn't that be thrilling? Anyway hope you get a look at her if you haven't lately, I saw her on yahoo news, they are pretty quick with news. Very interesting hub indeed! 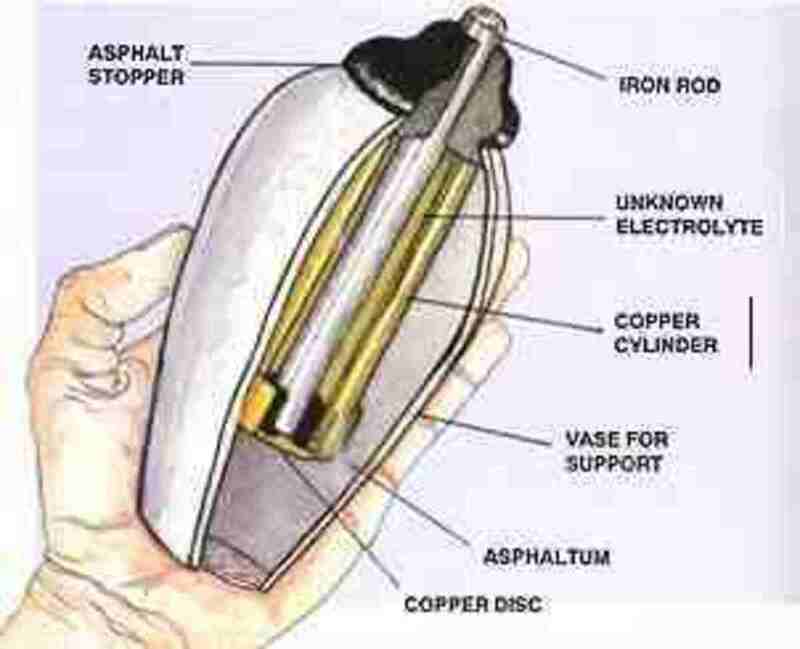 I have heard about the ancient batteries in Egypt but had never heard of the other inventions. I cannot believe the precise work put into some of these items. So amazing!! Voted up and awesome!! Wow Nell, this is more than a little fascinating isn't it?? You read this and think well what do we know?? is anything ever how you think it is?? Sometimes I think we are too full of ourselves and these finds prove it. All those years ago genius lived! As you said it proves not only modern man can invent, all men can. This was truly interesting and these finds truly prove the genius of man is of all men. Great job Nell. Nell, brilliant hub - so interesting. 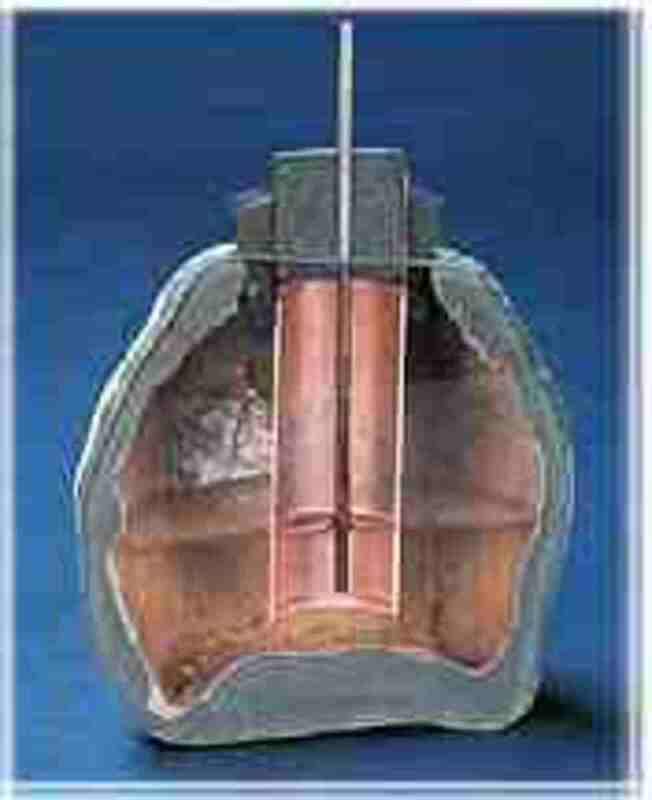 It is amazing to think of the Egyptians and ancient Greeks already having knowledge of elecricity and of Hero messing about with steam in a sealed cylinder - wow! Hi Nell. 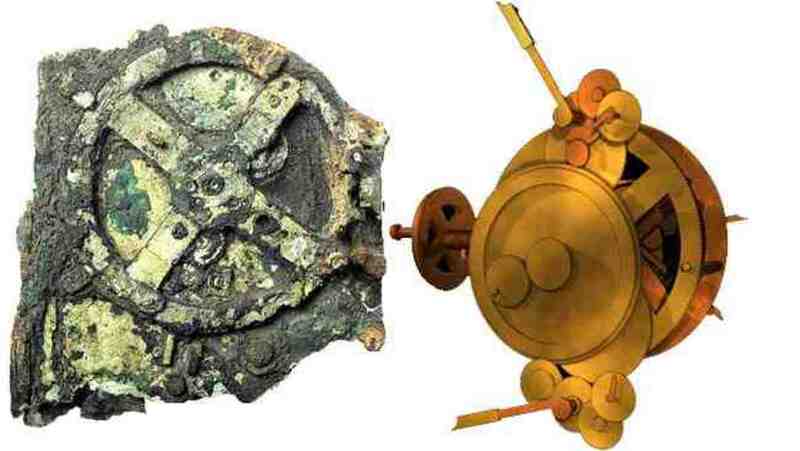 You mentioned the Antikythera Device. Speaking of Greek history, the Archimedes Palimpsest shows that the foundations of modern calculus were laid more than 2000 years ago! 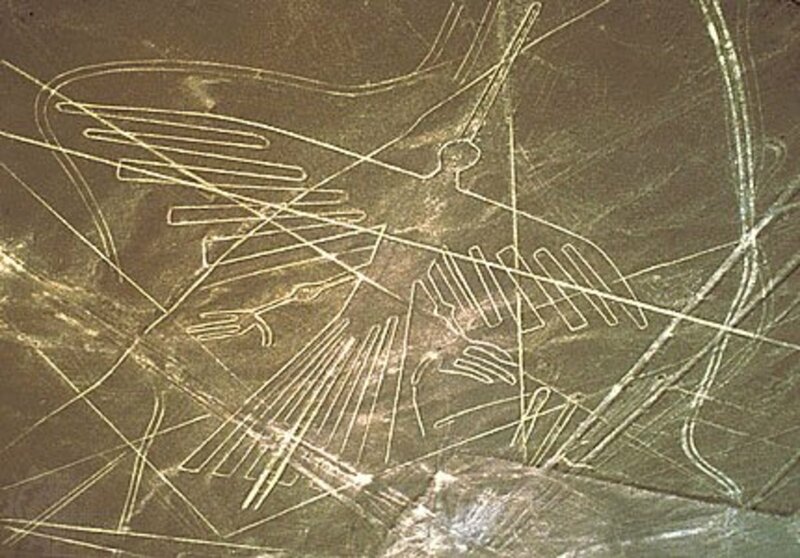 I also think that it would be fun to have a close look at prehistoric art, and see what we could learn about the technology portrayed therein. Yes, I think ancient man knew much, much more than we give credit. On TV, I saw that a light bulb had been discovered that dates back to ancient Egypt. All very puzzling, but extremely interesting. Thanks for a great Hub! Cool inventions, Nell and thanks for telling us about them. Happy New Year! Thank you, Nell, for this splendid hub with its amazing information. Nell, I enjoyed this article and I agree wholeheartedly with you – ‘The Ancients were definitely not primitive, and in some cases they seem to be scarily too advanced for their time!’ I’m so with you in this page. I agree with Christopher too - the answers of all our questions were in that library. Someone asked a hub question about what is one thing in past history you would change if you could. After some thought, I know it would be the loss of the contents of the Library of Alexandria. I agree with Mysterylady that there many well have been stories, philosophies and inventions documented there that would shame modern people who mistakenly consider themselves the epitome of mankind's intellectual development. These examples should shake such arogance. Hi Nell, when I was in college I studied archeology for a year, made excavations, washed pottery and the like. It was, indeed, a fascinating work. I am still amazed thinking about the so called primitives. They had the ability to think further then we will ever imagine and now I think they had the time to experiment. I'm glad I read your article. Your examples are very intriguing. Nice job! Wow.... you drive me crazy with this invention. I never knew about this before, but I learn much from you. This is the beginning a new technology form the ancients things. This is so amazing. I can't imagine the people in that era succeed to create such of this things. Awesome and beautiful. I never hesitate to vote this hub. Happy New year! Although I had seen these inventions discussed on the History Channel, I still found your hub very interesting. I agree with christopheranton that so much knowledge was lost when the library at Alexandria was destroyed - not only scientific information but also great literature, history, philosophy, etc. Thanks for sharing! I am sorry you have been ill. I hope you are feeling much better now. Wow - who'd have thunk? Amazing, isn't it? Makes one wonder if Time is indeed cyclic and not linear and maybe we have the same kind of inventions occurring at certain points in time? Hi Nell- glad you are up and around. I was a bit under the weather after Christmas myself. We're buried in over a foot of snow and I will take photos and post them on my next Hub. We modern men have such false pride in the accomplishment of others. I couldn't make a battery in a million years- but I can make a poem. Thank God for any gift. These inventions are amazing. DaVinci designed the helicopter and submarine 500 years ago. There have been geniuses born to every age. Why do we think we are so special? That is a great question. Very interesting Nell.There had to be a time when everything was lost,even the education.How could it be that people could barely read in the 18,19th century? Who knows? I throughly enjoyed this hub,your writing ability is excellent.Thank you. My husband and I have long been fascinated by these ancient finds, and have watched nearly every show produced on the History Channel or the Discovery Channel about such things. It never ceases to amaze. 8 years ago from Savannah GA. Yes I have read about some of these discoveries and many others that sould not exsist, it only goes to show that we do not know as much as we think we do. Great hub and I will be back to read all these other hubs that I somehow missed! As you probably know, there's a series that ran on the History cable TV channel called "Ancient Aliens". In the series, some of the inventions you write about are explored. I'm glad to see this Hub, as it promotes an exploration into challenging the "history" we were taught as school children and even as college students. We modern, technologically adept people aren't nearly as unique as we've been told. Is there really anything new under the sun, and what sun would that be? Wow. Nell, this is a well researched, well constructed hub written with passion. This is such an interesting article and must have taken you a long time to research. Simply fascinating and definitely voted up. I have no problem in believing that the ancients had knowledge and artifacts that would amaze people nowadays. The problem we have is that the written records left by these people was largely destroyed when The Library of Alexandria was burnt down, first by Julius Caesar, and later by the arabs. A huge amount of knowledge was lost then. It was a great tragedy. Great hub. I heard about the ancient batteries once before and always wondered about them. Thanks for telling me about other great almost unbelievable inventions. Humans are too vain. Of course everything has been done before. Egypt (or Khemet as it was known) will never ever cease to amaze me..
very inspiring. Thanks for share with us.